Seeds need water and oxygen to germinate, so are best started in a light, loose soil that will not compact, get soggy, or crust over. Free flow of water and air are necessary. Large seeds can be soaked overnight and planted individually. Remove the seeds from the fridge. Depending on the rose variety and individual seeds, the seeds could take anywhere from four to sixteen weeks to germinate. Often, 70% or more of the seeds never sprout at all. It has dark green culms with a bright white ring at the node. The leaves are also darker than most other bamboos. In the spring the new culms are often near-black in color for a few weeks as the new foliage appears, aging to green. Short, cylindrical, green cucumbers, 7-8 cm (3 in.). Plant has to ability to regenerate that makes it possible to collect cucumbers until late autumn. Use fresh, for pickling and salting. 0.5g (approx. ). 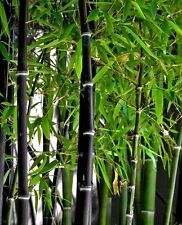 In most residential gardens here in Portland, Oregon, we usually find Black Bamboo to reach a plateau of about 25 to 30 feet in height. Watch for sprouting two weeks after sowing the black bamboo seeds. Model Number:Pine tree seeds. Classification:Mini Garden. 0.5g (approx. 20 Seeds). Mid-season (45-48 days), cold resistant, self-pollinating hybrid with female flowers for open ground and greenhouses. Beautiful green cucumbers, 11-13 cm (4-5in.) long with a gentle taste. Resistant to all major cucumber diseases. Use fresh, for salting and pickling. 4g (approx. 60 Seeds). Early variety (70-80 days). Large, round Fruits, weight 2.7-3 kg (6-6.5 lbs.). Black-green Fruits with a smooth surface. Thin bark, red, very juicy and sweet flesh with an excellent taste. Variety cold tolerant. 2g (approx. 30 Seeds). Mid-season variety (75-90 days). Fruits are round and oval-rounded, green with light green stripes, weighing 3.5 - 5 kg. Flesh yellow, sweet, juicy and flavorful, with small seeds. 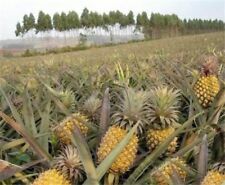 The variety has good resistance to diseases. Grow in open field and greenhouses. 0.5g (approx. 80 Seeds). Mid-season variety (140-160 days). Scrub grows up to 80-100 cm (30-40 in.) high, requires support during fruiting. Oblong-prismatic shaped, very large, red colored fruits, weight 500-800g (18–28oz), 20-30 cm (8-12in.) long. Use fresh and for conservation. 1g (approx. 200 Seeds). Leaf cabbage variety. Medium high plant, 60-80 cm (23- 32 in.). Large, thick, green leaves, length 20-30cm (8-12 in.). Harvest starts in early August with the lower leaves, after the first frost the sprouts have an excellent taste. Use fresh or frozen. 2g (approx. 25 Seeds). Mid-season variety. Round, yellow-brown fruits, weight 1-1.2 kg (2.2-2.5 lbs.). Juicy, sweet, orange colored flesh with a strong flavor and excellent taste. 2g (approx. 15 Seeds). Annual flowering plant, plant grows up to 30-40 cm (12-16 in.). Large, fragrant, reddish-brown colored flowers, diameter 3-4 cm (1-1.5 in.). Blooms plentiful from June until frost. Use for flower beds, borders and balconies. 10g (approx. 10 Seeds). Annual cold-resistant plant, grows well on various soils, except sandy and acidic. 4-20cm (1.5-8in.) long beans, containing 4-5 seeds. Plants withstands frosts up to -4 C (25F) and grow well at a moderate temperature of 17-20 C (63-68 F). 0.2g (approx. 500 Seeds). Perennial herb plant grows up to 35cm (14in.) tall. Purple flowers, blooms from June to July. 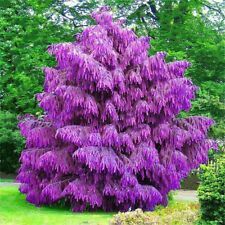 Grows in one place up to five years, frost resistant. 0.2g (approx. 40 Seeds). Mid-season (115-120 days) Russian beefsteak heirloom for open ground and greenhouses. Indeterminate plant, grows more than 200cm (78 in.) height. Unusual large, bright-red, sweet, tender, fleshy tomatoes, weight 400-1200g (14-43oz.) with a strong aroma. 0.1g (approx. 250 Seeds). Early, cold- and drought resistant variety (45 days). Very decorative plant with fragrant and sweet berries. Delicious leaves that can be cooked like spinach or eaten fresh as salad. Fruits recommended for fresh consumption as well as for canning. Christ's thorn jujube - Sidr - Ziziphus spina-christi. The crown of thorns of Jesus Christ was told to be braided out of the branches of Syrian Christ's thorn. Syrian Christ's thorn is widespread from North Africa to South and West Asia. 0.5g (approx. 20 Seeds). Early, high-yielding, self-pollinating hybrid variety for open ground and greenhouses. Cucumbers dark green, 12-14 cm (5-5.5 in.) long. Good shade tolerance and resistant to all major cucumber diseases. Recommended for pickling and canning. 200pcs Gold Yellow Kiwi Fruit Seeds Bonsai Fruit No-Gmo Kiwi Seed Garden Plant. 100 Pcs Mini Kiwi Bonsai Plants Delicious Kiwi Small Fruit Tree. Divide and seat the moss. Trying to plant moss in this way on stones or other objects is unlikely, as small pieces of moss will not hold. 4g (approx. 10 Seeds). Chufas are a bunch grass with a peanut like an underground nut - used for food plots of deer, turkey, hogs and wild hogs. This legume is very similar to peanuts, if you have ever seen hogs rooting peanuts, they go after chufa the same way. Plant in spring through summer. Chufa can also make an excellent food source for other wildlife including deer and ducks. 50 Seeds. Mid-early (75 days after transplant), high-yielding heirloom. Compact bush with strong stems grow 45-55cm (18-22in.) tall. Beautiful, very sweet, juicy, black bell peppers, weight 200-220g (7-8oz.). 1g (approx. 200 Seeds). Perennial cold-resistant herb plant, forming a medium sized, fragrant, delicious bulb. The bulbs are round-oval, dense, weight 20-40g (0.7-1.5 oz.). Use fresh and for canning. 4g (approx. 2400 Seeds). Late variety (120-130 days). Cone-shaped, red-orange root, length 20-25 cm (8 - 10 in. ), weight 100-150 g (3.5 - 5 oz.) with an excellent taste. Use fresh and for winter storage. Then evenly throughout the area to scatter the grain mycelium. Outdoor soil grow from may to late autumn. The live of mycelium is up to 7 years. Boletus is a king of mushrooms. Sowing is 18 oz/m2 (0.5 kg/m2). 20 Seeds - coated. Mid-early (75 days) Dutch hybrid. Indeterminate, powerful plant. Large, dense, round tomatoes with excellent commercial qualities. Resistant to all major tomato diseases. 0.2g (approx. 1500 Seeds). Annual flowering plant, grows up to 10 cm (4 in.) height. 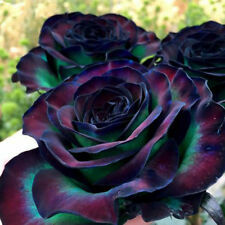 Large, beautiful double flowers in various colors. Use for borders, group plantings, garden vases or on the balcony. The variegated Monstera has similar care to that of solid green monstera deliciosa. The main difference is the white portion of the variegated monstera leaves cannot absorb light, so it needs to work twice as hard to photosynthesize. 0.5g (approx. 120 Seeds). Annual flowering plant. Bush growth up 30-50 cm (12-20 in.) high. Beautiful, large, bright yellow double flowers, diameter 8-10 cm (3-4 in.). Blooming from June until frost. 5g (approx. 30 Seeds). Annual climbing variety (100-120 days). Plant grows up to 300m (120 in.) tall. Pods light-green, 60-80cm (25-30in.) long, fleshy and fiber-free. 0.2g (approx. 4000 Seeds). Annual flowering plant growth with branched stems, 10-20 cm (4-8 in.) tall. Small, flowers which during blooming completely cover the plant. Blooms profusely from June to October. Use for group plantings and garden vases.